Free Joomla extensions (modules and plugins) developed by HotThemes are available for free download on this site. You can use them for your Joomla projects, for personal or commercial websites without any limits. Our collection includes extensions for various purposes: image rotators, product scrollers, galleries, etc. We believe our free Joomla extensions will encourage you to join our Joomla template club and get full access of our Joomla extensions collection. This membership will also allow you to download our Joomla 3 templates and VirtueMart templates. 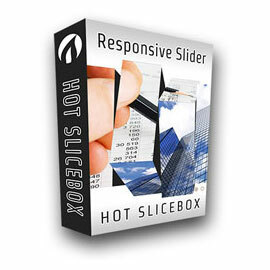 Hot Slicebox is another free responsive slideshow module by HotThemes. With an unique transition effect based on rotation of 3D boxes and a lot of parameters, it will be a very useful module for your responsive websites. Module for Joomla and VirtueMart 2.0+ that scrolls your products showing the product's image, name (linked to the product page) and price. 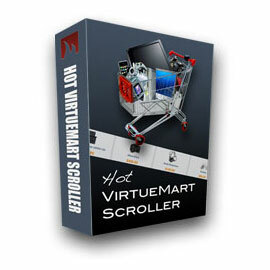 We hope you will find this module useful for your online store based on Joomla and VirtueMart. Need to display your images in a way of a carousel? Easily done with this Joomla extension! 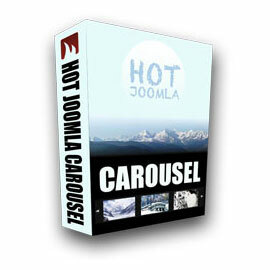 Hot Joomla Carousel is a simple Joomla module that will help you to show your photos in a carousel style. Usage is very simple. You need to enter path to your images and your carousel is ready. Do you need some articles of your website to stand out of the others? Here it comes our fully configurable, featured articles rotator, based on jQuery. In module parameters, you have control over module display. You can add internal or external link to each image in rotation. 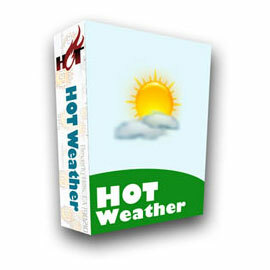 This module can help you to inform your visitors about weather conditions for the selected city. Just enter your ZIP code and select simple mode or 3D mode and you're done! You can also select units (Fahrenheit or Celsius) of your preference. 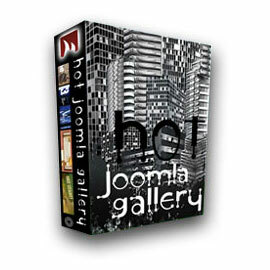 Hot Joomla Gallery module is a fully configurable, simple gallery module, based on jQuery. Simply enter path where your images are and your gallery is ready. Control other parameters to make your gallery works better with your theme. You can enable or disable image descriptions. 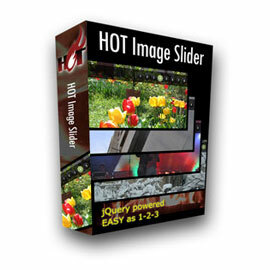 This is simple image rotator module based on jQuery. You can control module elements such as width, height, border, colors... Also, you can enable or disable image titles, image descriptions and navigation buttons. You can add a link for each image from the set.